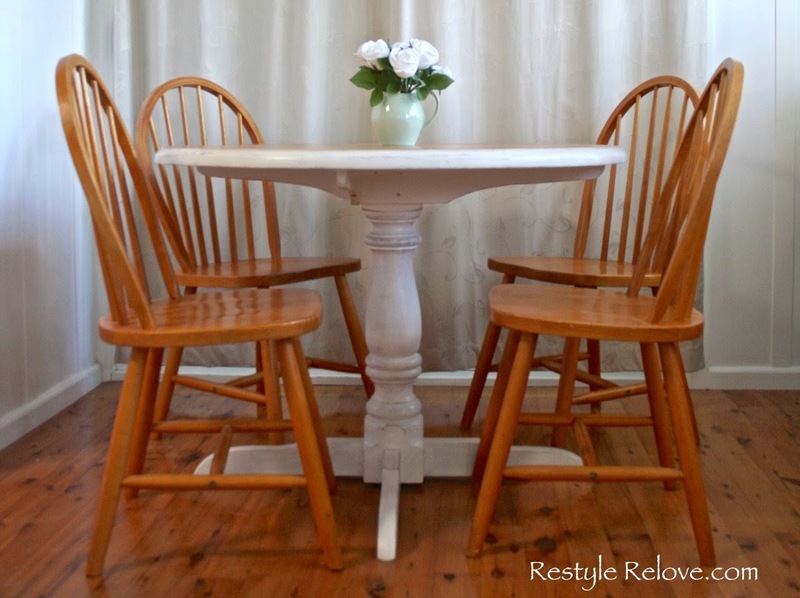 I restyled this dining setting a short while ago and wanted to do a quick share. The table was a similar colour to the chairs. 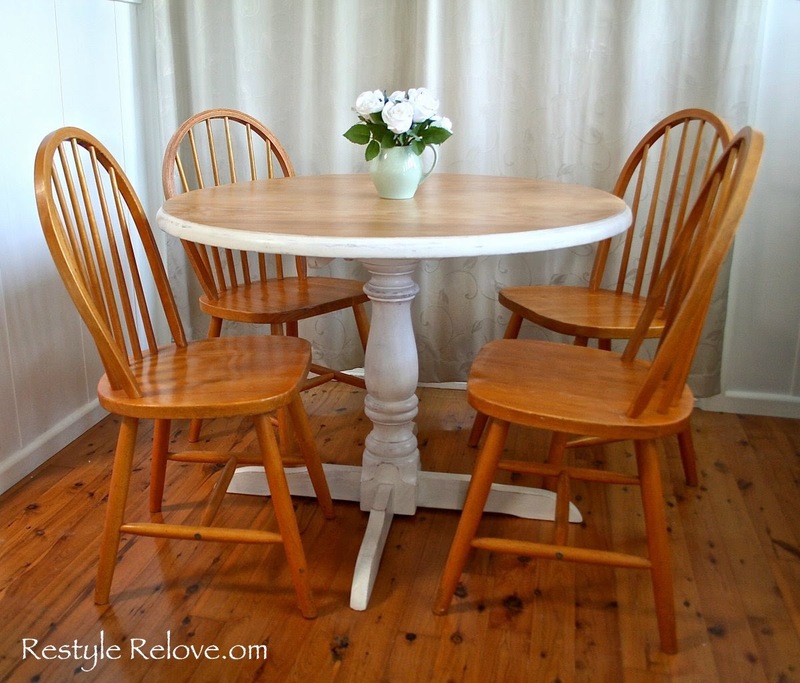 Don't you just love spindle back chairs. 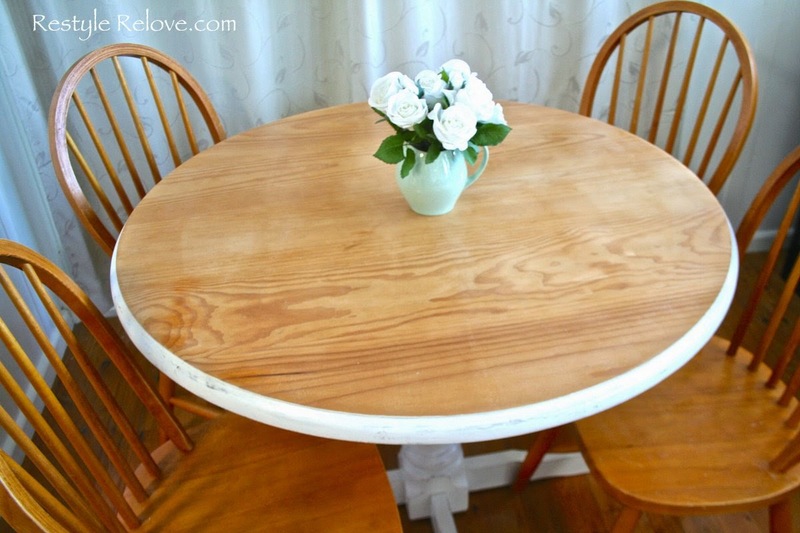 I decided to paint the table base with white chalk paint, give in a light distressing and coat with clear varnish. 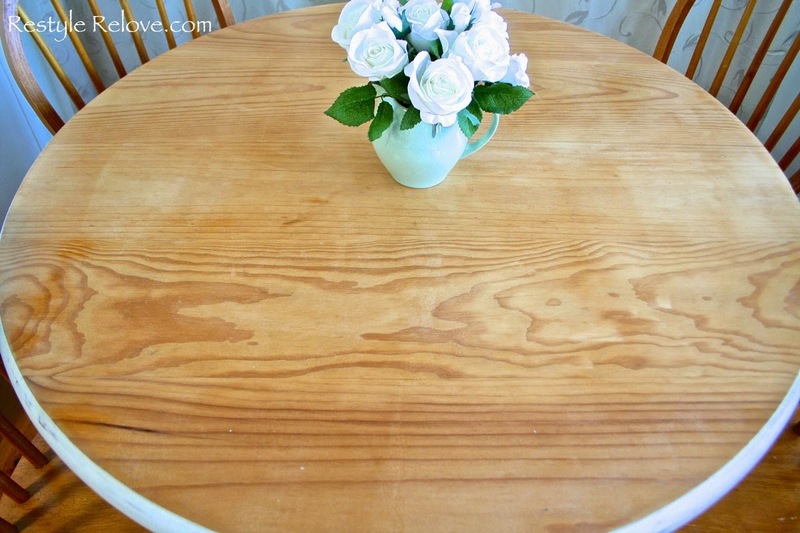 For the table top I sanded it back to the original wood with my belt sander. That sander really does make short work of things. Then applied 3 coats of clear varnish to seal and protect. I love the details of the natural wood. I decided to leave the chairs in their original slightly shabby state. It looks beautiful! 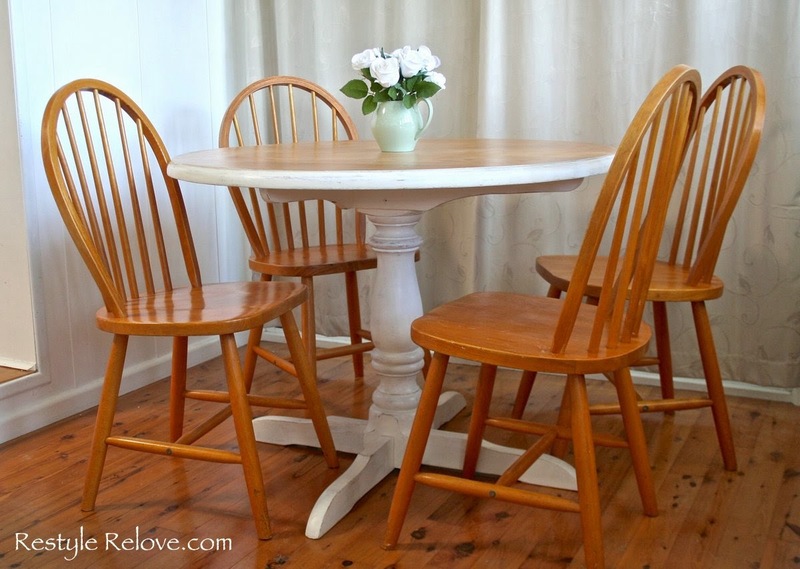 I just bought a table on Craigslist to go with the dining chairs I reupholstered and I was thinking of trying to strip the top so that it tied in with the chairs a little more. The table is grey and I left the legs of the chairs their original color. I'm so glad I could see my vision actually played out because I was having a hard time determining if what I had in my head would work!